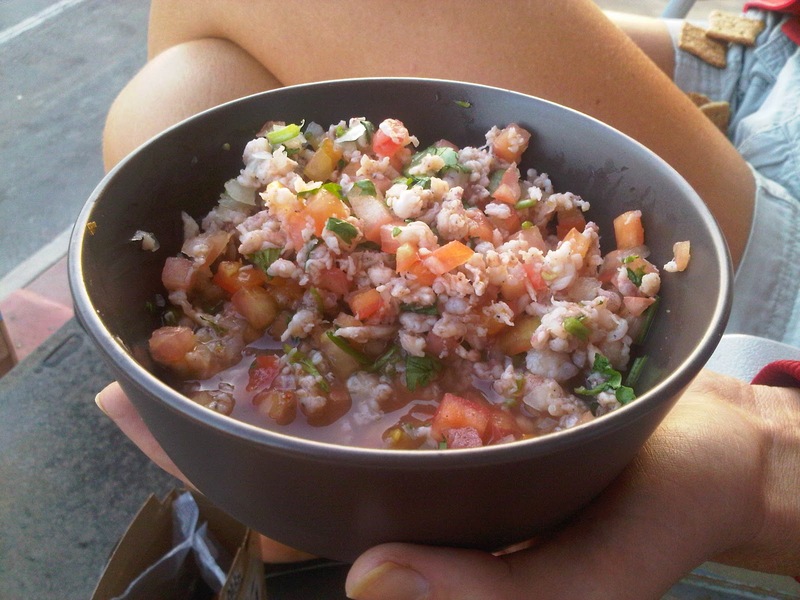 Most, if not all, ocean lovers will always enjoy a delicious serving of ceviche. According to Wikipedia.org, ceviche is described the dish, "typically made from fresh raw fish marinated in citrus juices such as lemon or lime and spiced with chilli peppers." Wow, Wiki is wicked! They got it right on the dot. But not every ceviche is spiced before serving. You usually add your own hotness to it on your own. Either way, it is something that everyone should try at least once. And the chances of you getting hooked, pretty frickin' good. 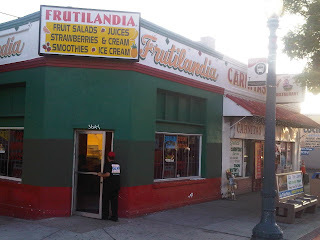 Well, for those of you that live in the south bay of San Diego, I've got a treat for you... Fruitlandia! Located on University just west of the 15 highway in City Heights, is a secret little Juice Bar that serves up some of the best ceviche I've had this side of the border. My wife and I have been shelling out for Fruitlandia's ceviche for the past few months and we are never disappointed. I'll let you in on a little secret. Order your ceviche tostada to go. We think you get more ceviche than you would if you ordered to eat in. You can still unpack it and eat in the shop, no problem. And for under 3 bucks, you get a ton! If you're in the area or if you want to make the drive for some tasty ceviche, head over to Cherokee and University and visit Fruitlandia! 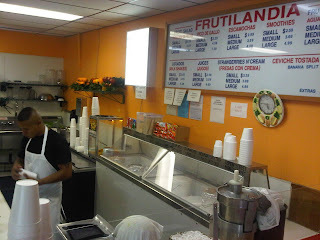 Oh yeah... don't forget the fresh juices, smoothies and fruit salads! Oh man, this place will rock your boat. 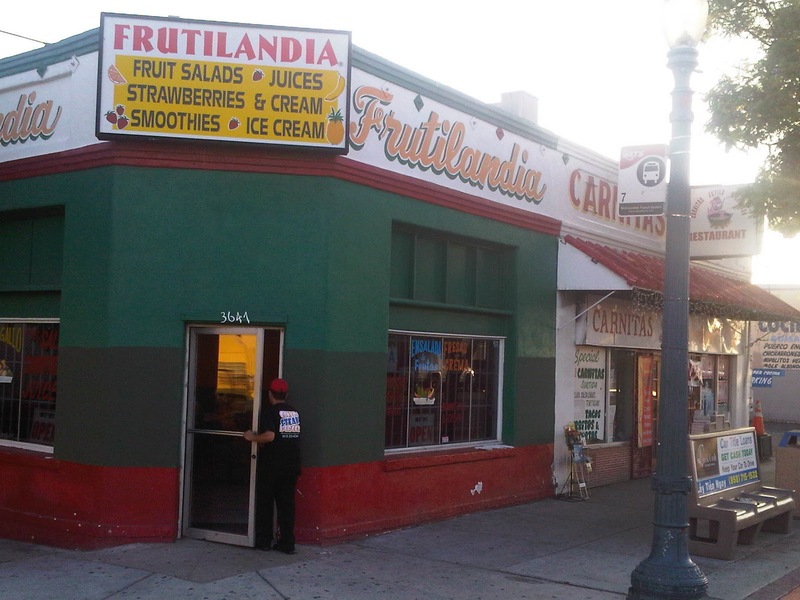 You can't miss the Mexi influence of the neighborhood. My wife and I split an order of three and that's plenty! Just re-read this post. May have to do a run today!